The following is a press release from the Massachusetts Attorney General’s office submitted to SOURCE. 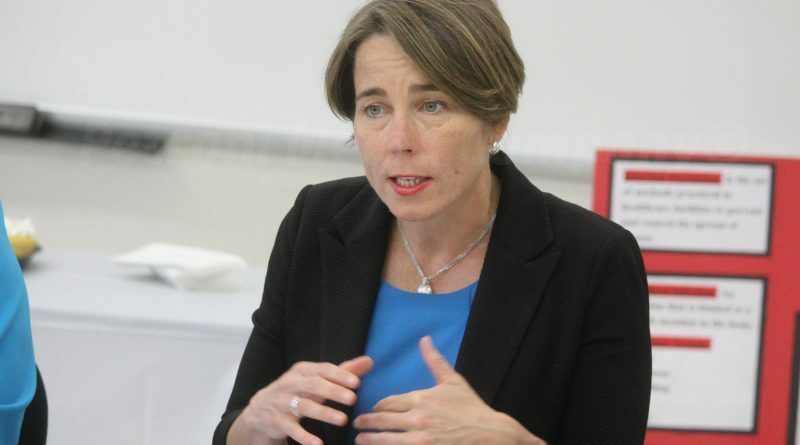 BOSTON – Massachusetts Attorney General Maura Healey on Friday, April 5, filed a motion with a coalition of 20 attorneys general asking a federal court to block the Trump Administration from redirecting $1.6 billion in federal funds to build a wall on the Mexican border. The motion, filed today by the California Attorney General’s Office, asks the court for a preliminary injunction that would block the Trump Administration from diverting taxpayer dollars slated for state and local law enforcement agencies. In the motion, the coalition asserts that with his unlawful executive actions, President Trump is attempting to divert billions in funding through the Treasury Forfeiture Fund, the Department of Defense’s counterdrug account, and military construction projects. In Massachusetts, the President’s move to divert federal dollars puts at risk funding for the Massachusetts State Police and Massachusetts Port Authority from the Treasury Forfeiture Fund’s equitable sharing program, resources that supplement and enhance Massachusetts law enforcement agencies’ state-appropriated funding. In fiscal years 2014-2018, the Massachusetts State Police received nearly $553,000 in funding through the Treasury Forfeiture Fund, which the agency used for equipment, technology, training, and professional development. Today’s motion is part of an ongoing multistate lawsuit against the Trump Administration over its declaration of a national emergency. In their suit, the states contend that the Trump Administration’s actions exceed the power of the executive office, violate the U.S. Constitution and federal law, and would illegally and unconstitutionally divert federal funds appropriated by Congress for other purposes such as drug interdiction, military construction, military personnel, and law enforcement initiatives. The attorneys general allege the Trump Administration has made up a “crisis” of unlawful southern border entries as pretext to justify redirecting congressionally-appropriated funds to pay to build a wall along the southern border after the President failed to get Congress or Mexico to pay for it. In addition to AG Healey, joining today’s filing are the attorneys general from California, Colorado, Connecticut, Delaware, Hawaii, Illinois, Maine, Maryland, Michigan, Minnesota, Nevada, New Jersey, New Mexico, New York, Oregon, Rhode Island, Vermont, Virginia and Wisconsin.